Location: Pittsburgh Paints store in Pittsburgh. 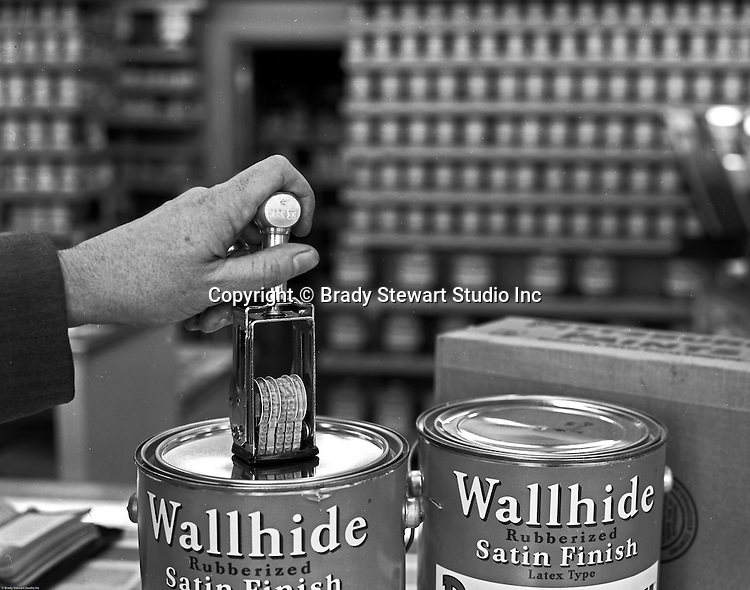 Location photography at a Pittsburgh Paints Glass store featuring Wallhide Satin Finish Paints - 1961. Photographic signment for Ketchum McLeod and Grove.